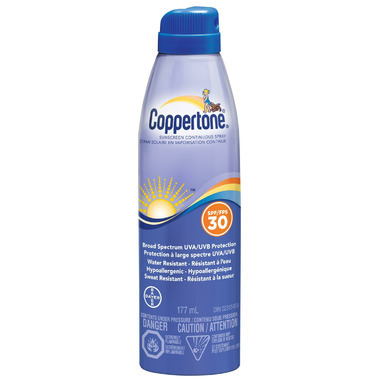 Coppertone Continuous Spray Clear Sunscreen SPF 30 provides effective broad-spectrum UVA/UVB protection. This sunscreen offers clear, quick and easy application. You can spray it at any angle, even in hard to reach places, for quick and even coverage. Easy to use, like the fact that you donâ€™t get cream all over your hands, quick delivery!